Note: Bebside was called Cowpen Lane until 1860. Bebside was a small mining community whose population was estimated at only 58 by the NER in 1911. By the 1950s the settlement had grown little, but the 1961 OS map showed that housing estates on the western extremity of Blyth (Cowpen) were approaching the station, while much of the mining village had been demolished. By the standards of B&T passenger traffic, this was one of the quieter stations. Bebside brick dentillation lent a touch of distinction. On the other platform the buildings included an enclosed wooden waiting shed, towards the northern end of the platform. In 1972, although the buildings had gone, the platforms were intact, but these have since been demolished. Tickets from Michael Stewart. 1887 Bradshaw from Chris Totty, 1961 Bradshaw from Nick Catford. Poster from C J Dean. Route map drawn by Alan Young. Seaton Deleval, Hartley Pit, Hartley, Newsham, Blyth 2nd site, Blyth 1st site (on branch), Bedlington, Choppington, Hepscott & Morpeth B & T.
Bebside station looking north-west c1910. The single-storey building is on the up platform, to the right, accompanied by wooden sheds which were to have a long life. The nameboard is the NER standard type in terra-cotta with cream lettering. In its early days map evidence shows the station to have been beyond the level crossing, adjacent to the site of the signal box. 1859 1:2500 OS Map. 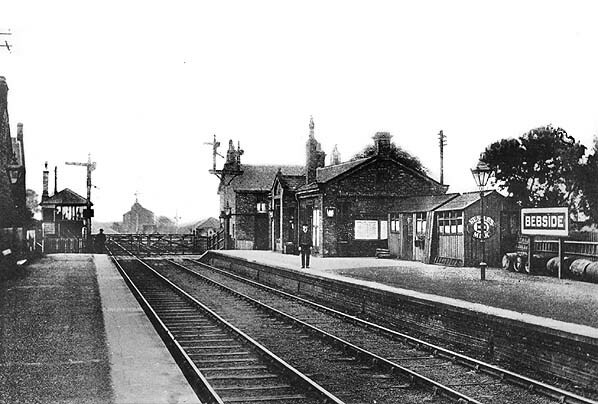 Bebside station was known as Cowpen Lane until 1860. Only a single line is shown through the station, and the map indicates that the station was north, rather than south, of the crossing: no other evidence has been found that the station was sited there. 1922 1:2500 OS Map. Bebside station is shown south of the crossing, with platforms flanking the double track railway. Note the convenient location of the station for the cottages of the miners who were employed at Bebside Colliery. 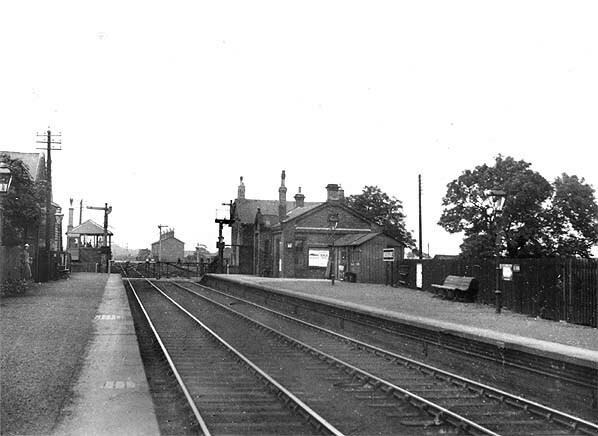 A general view of Bebside station c1930s, looking north from the down platform. 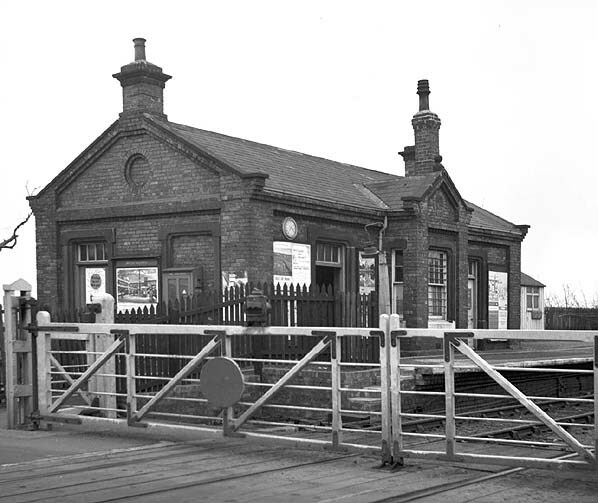 The station building on the up platform at Bebside, seen from the level crossing in March 1964. The T-plan single-storey brick structure has a pitched roof. The central gabled section is set forward onto the platform and, as with other gable ends, is embellished with kneelers and it has a ball finial on the gable. The station is still well cared for, with posters in place on its notice boards; its closure would be agreed the following July and take effect on 2 November of that year. 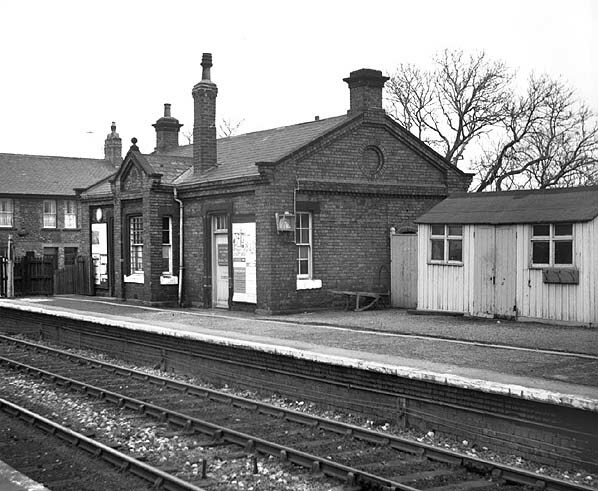 The station building on the up platform at Bebside, looking north from the down platform in March 1964. 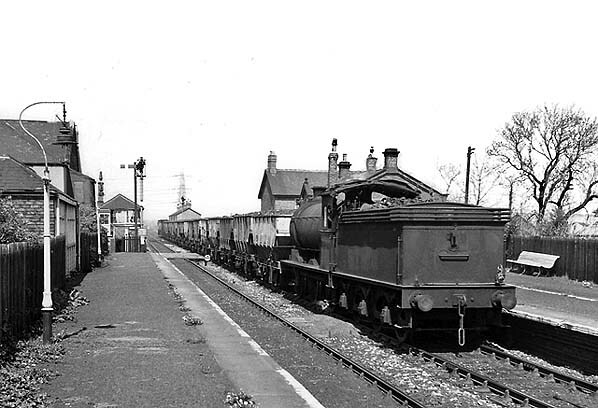 Looking north in May 1965 a coal train headed by a tender-first ex-NER J27 0-6-0 passes the up platform of Bebside station. Only the appearance of weeds on the platform is evidence of the station’s closure six months earlier. An enclosed waiting shed can be seen on the down platform. 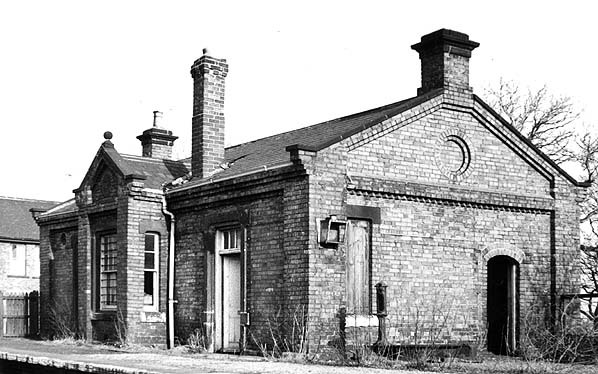 In February 1968 the up platform at Bebside is beginning to look unkempt after three years of closure to passengers, but the station building remains intact. It is one of the more attractive small buildings produced by the Blyth & Tyne in its later years to enhance the facilities at the station. Similar structures were found at Bedlington and Seghill. 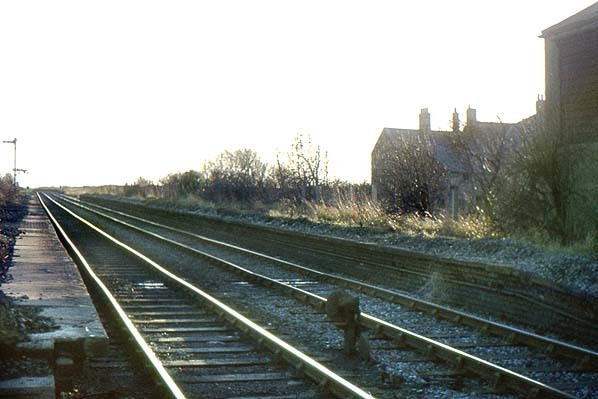 Bebside station, looking south from the level crossing in December 1972. Only the platforms remain. 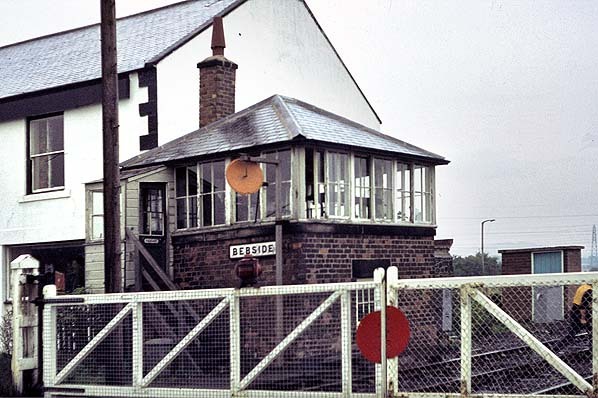 Bebside signal box in October 1979. 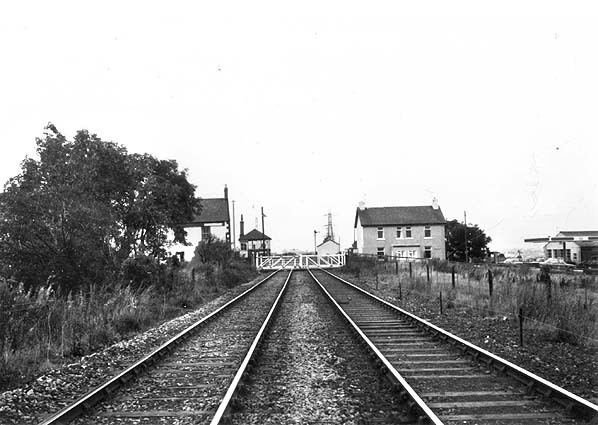 The site of Bebside station, looking north-west in September 1978. 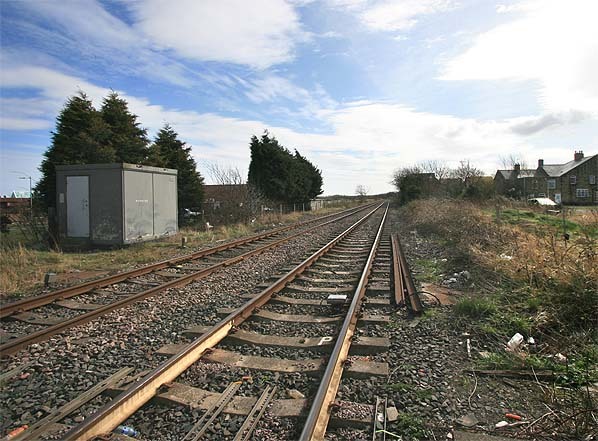 The site of Bebside station looking south east in March 2009.